Create Lab Cases Online Instantly! You can also track and update cases online – including digital impressions, model scans and photos – and send messages directly to your tech! See your invoices and pay online. No more stamps! Then print the invoices for your records. Bayshore’s Customer Portal is fully secure to protect your patients — and your practice. RX forms, boxes, shipping labels – whatever supplies you need from our lab, order it through our portal. We’ll do the rest, and get them to you right away. We’re already connected with UPS, so simply set a desired pickup time and UPS will be at your doorstep! 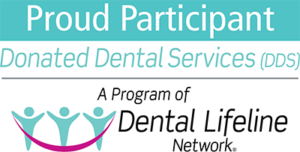 Our lab was founded by dentists, and our Customer Portal was designed with you in mind. In addition to the customer portal, Bayshore also provides a Digital Preview Service. Have a complicated case? Simply request a Digital Preview, and Bayshore will email you an interactive 3D file so you can ensure your case lives up to your standards. Need more info, or want a 10-minute demo? Call us at (877) 823-4890. We want you to experience all the functions our Customer Portal has to offer. 3. View and pay your statement online! Click here for more information on our Z Crown Line of restorations. Download and print the handy Customer Portal fact sheet.